The holidays are one of the most popular times to get engaged and if you were part of a couple celebrating your recent engagement, CONGRATULATIONS! 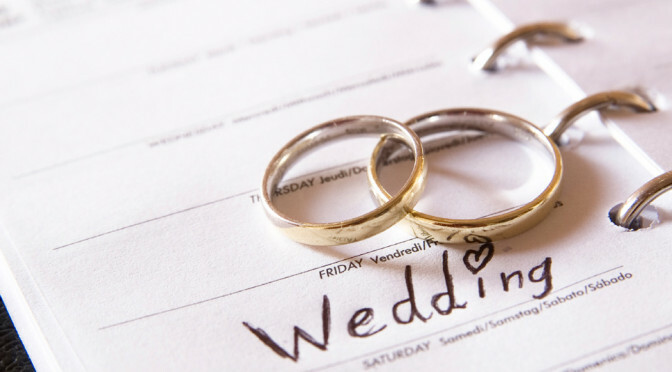 Hopefully you are able to enjoy planning a celebration with family and friends, but we know sometimes wedding planning can be stressful and confusing. Here are a few helpful hints for planning spa services to prepare for your wedding. Whether it is a bride looking to schedule a first Brazilian or a groom wanting his first back wax, the worst time to experiment is the day or two before your wedding! For best results, we recommend getting the wax services you’re considering for your wedding and honeymoon at least 6 months out and then keeping up the routine until your wedding. The first wax is often the most painful and until you have a wax, you won’t know how your skin will react. With regular waxing, you’ll likely get a smoother result and less irritation for the big day. If you are planning to wax your underarms or legs prior to your wedding, plan to have AT LEAST 6 weeks of growth for a smoother wax. Hair needs to be a minimum of 1/4 inch long and the longer the better in those areas. Brow and lip waxing should be planned at least 3-4 days in advance of the wedding. If you are a nail biter looking to grow your nails for your wedding, we recommend at least 3 months out getting at least a basic manicure every 2 weeks to help keep your cuticles and nails in shape and reduce your temptation to bite them. Applying a cuticle oil like CND Solar Oil and hand cream nightly will do wonders to get your hands and nails in shape for wedding photos. Wearing a hard polish like Shellac is a great way to grow your nails because it makes it harder to bite your nails and easier to break the habit, especially with stressful wedding planning. Using REAL CND brand Shellac (as opposed to one of the imitation versions some salons call “Shellac”) with proper removal will not damage your nails. If you have skin concerns you’re looking to address before wedding photos, the best time to start working on them is at least 6 months out. A professional esthetician can help you determine the best products are for your skin needs (and your lifestyle). They can also help with clogged pores and clearing up your skin. Once a month is best for a facial, but taking care of your skin at home with the proper products for your skin type between facials is going to make the most difference! Avoid booking a facial the day or two before your wedding or your engagement photos, especially if you are traveling and aren’t familiar with the esthetician or product lines in case your skin reacts or because deep pore cleansing can lead to break-outs while your skin is purging impurities. 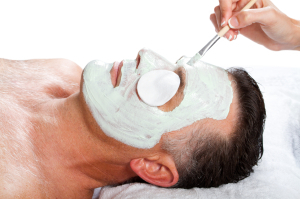 A facial with an esthetician you know well and products you are accustomed to should be fine the week of your wedding or photos, your esthetician can always go easy on extractions to avoid any redness. An added benefit to facials is that they are super relaxing, with tons of massage on the face, scalp, neck, and arms. Any bride-to-be can use that nurturing stress relief! Sometimes during the wedding planning it can be easy to lose touch with your fiance! Booking a couple’s massage can be a great way to reconnect and relax together. To book time to prepare for your wedding, give us a call at (515) 309-2904 or hop online to schedule when it is most convenient for you! This entry was posted in Massage Therapy, Nail Care, Resources, Skin, Skin Care and tagged bridal services, couple's massage, waxing, wedding facial, wedding nails, wedding planning by Cassie. Bookmark the permalink.